Award winning Nova Scotian sister duo Cassie and Maggie have been lighting up the world with their unique blend of traditional and original Celtic/roots instrumentals and vocals. Appearing on stages across North America, the UK, and Europe the sisters have enchanted audiences far and wide with innovative and lively fiddle, piano and guitar arrangements, stunning sibling vocal harmonies in both English and Gaelic, all complemented by their intricate percussive stepdancing style. 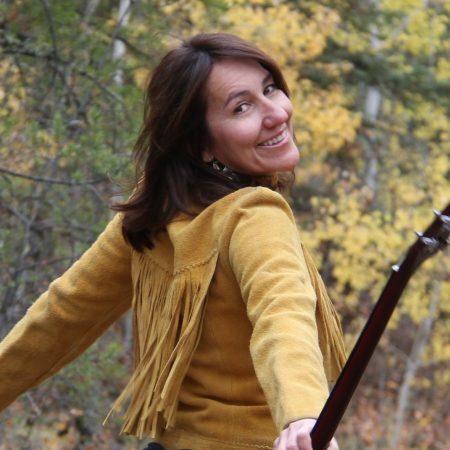 Jenny Whiteley plays a mixture of traditional old-time and bluegrass, as well as original country songs. She grew up playing in the Original Sloth Band and Junior Jugband with her father and uncle, Chris and Ken Whiteley, and her younger brother Dan. 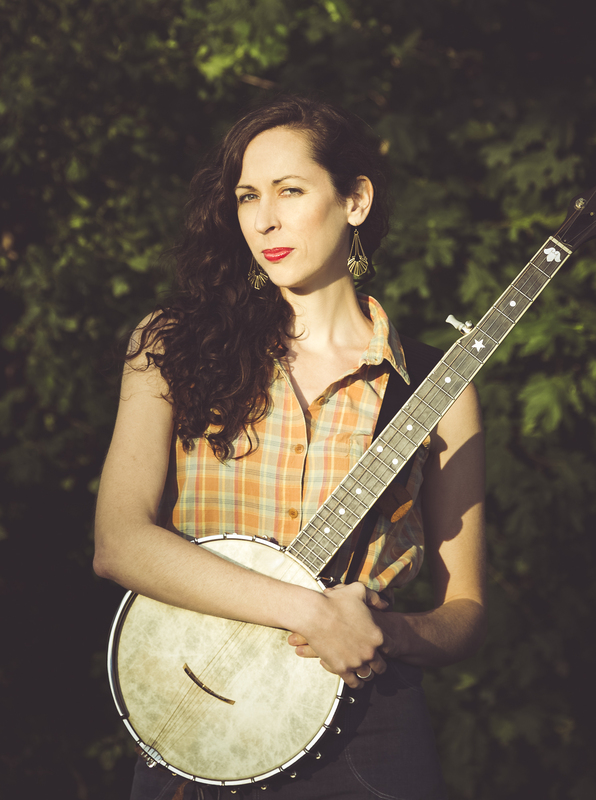 She formed the bluegrass group Heartbreak Hill in the late nineties/early aughts, then moved on to playing and recording solo, as well as collaborating with Carolyn Mark, Oh Susanna, Hank and Lily, Luther Wright, and others in the Hootenanny Revue. 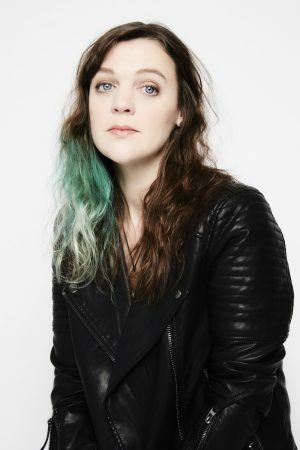 She has won two Juno awards: for her self-titled solo album, and for her second album, Hopetown. 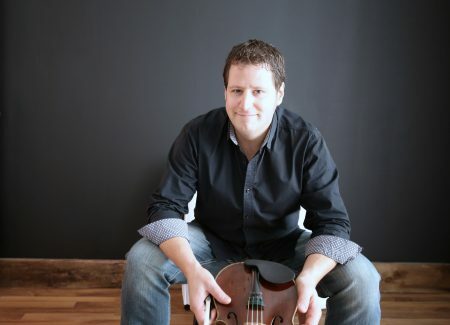 Over the years, he has acquired the knowledge of the québécois fiddling tradition by meeting the major players in the field. He’s unwavering energy and refined style earned him a spot with fabulous band La Bottine Souriante with whom he toured over the course of 10 years. He will found the “Power Trio” De Temps Antan and soon he will join the ranks of the band Le Vent du Nord. 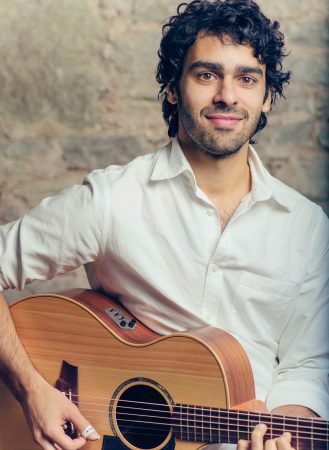 By pushing the boundaries of music, Andre’s passion for traditional Québécois music is equaled only by its irresistible desire to carry the soul of a deeply rooted historical and prestigious tradition. Còig is one of Atlantic Canada’s premiere traditional groups. In one explosive coming together, what was once solo acts on stage has amalgamated into one electrifying super group, picked as Penguin Eggs magazine’s 2014 #1 New Discovery internationally. With the fiery Celtic style as its musical core, Còig easily shifts between century old tunes of past generations to original and contemporary compositions, featuring the band’s range of over a dozen instruments (vocals, fiddles, piano, guitar, banjo, mandolin, viola, bouzouki, whistles, and more). With driving tunes, haunting songs, and infectious energy, Còig is an unparalleled musical force. 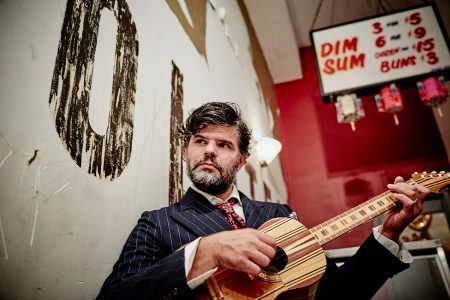 Two-time Juno-winning banjoist, composer and instigator Jayme Stone makes music inspired by sounds from around the world— bridging folk, jazz and chamber music. His award-winning albums both defy and honor the banjo’s long role in the world’s music, turning historical connections into compelling sounds. Jayme Stone’s Folklife (2017) follows the bends and bayous through the deep river of song and story. This gathering of versatile musicians blows the dust off of old songs and remakes them for today. Think Sea Island spirituals, Creole calypsos and stomp-down Appalachian dance tunes. The album is Jayme’s second for Borealis Records. Toronto’s Abigail Lapell draws freely from folk-roots, indie and punk rock traditions. 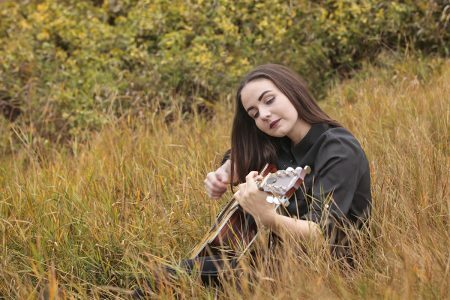 She received the 2016 Colleen Peterson Songwriting Award, and NOW Magazine called her a “musician to watch” in 2017. Lapell has toured across North America, Europe and the U.K., performing on vocals, piano, harmonica and finger style guitar. HIDE NOR HAIR, her sophomore CD/LP, is out now. 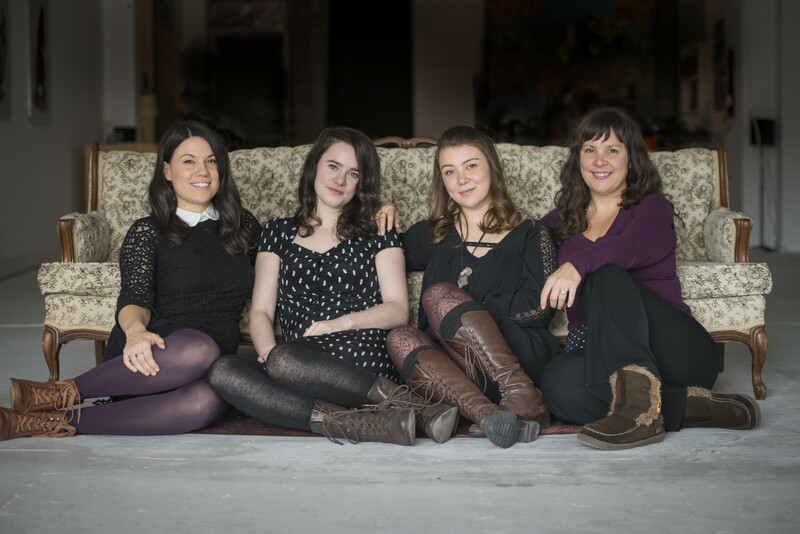 2017 Juno Award Winner for Instrumental Album of the Year, BIRD’S NEST is the latest release from Canada’s premier Folk quartet The Fretless. The band met and cut its teeth attending, performing, and teaching at music schools and festivals across North America, and from there evolved to create their vision, a complex yet digestible melding of intricate classical arrangements and folk melodies. 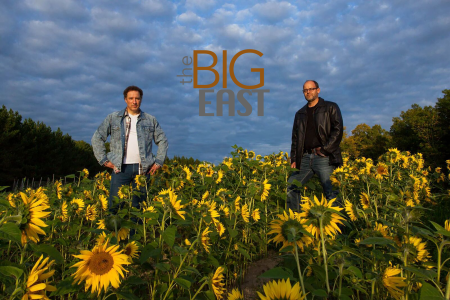 BIRD’S NEST, the third album from The Fretless, builds on the distinct sound developed on their first two records. It is a truly transcendent sound created by this string quartet worthy of its own genre label. The pride of Saint John, New Brunswick, Lisa and John McLaggan use an old washboard; rigged up with tin cans and a cymbal, while bass and snare drums are foot powered. 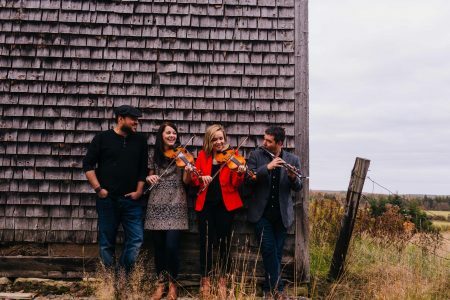 Their harmonies, old-timey guitar, contagious songs and up-cycled percussion create an unmistakeable sound, endearing them to not just Atlantic Canada but the folk world at large. The Winnipeg, Stan Rogers and Lunenburg Folk Festivals, Australia Music Week were 2016 highlights. This year they performed at Folk Alliance and are heading back to Australia for The Broadbeach Festival, touring the UK in the fall, with appearances at The Regina and Vancouver Folk Festivals. 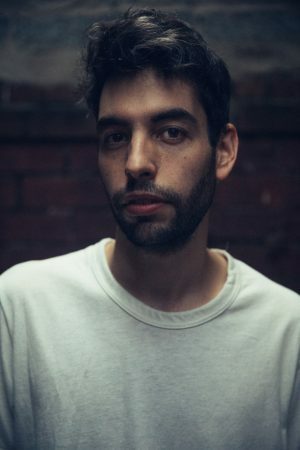 Leif Vollebekk is a Montreal adopted singer-songwriter. He released his third full-length album ‘Twin Solitude’ on February 24. Many publications are falling for his new songs such as NPR, WXPN, Brooklyn Vegan, The Fader, VOIR and Les Inrock, to only name a few. Since the beginning of his career, Leif has performed at the Newport Folk Festival and shared stages with Daniel Lanois, Beth Orton, Sinéad O’Connor, Patrick Watson, Coeur de Pirate and Sam Amidon. He released his break-through sophomore album ‘North Americana’ in 2013, while is 2010 debut ‘Inland’ received great reviews from NPR and The Independent UK. As Canada’s foremost family entertainer, the genial singer/songwriter really has nothing left to prove. Witness his 12 previous albums with their 10 JUNO Award nominations and three wins. Hear The Music features a roll call of marquee Canadian talent including (but not limited to) Ron Sexsmith, Alex Cuba, Basia Bulat, The Good Lovelies, Terra Lightfoot, Afie Jurvanen (a.k.a Bahamas) plus backup vocals from Fred’s own family, all tethered to the sterling production of long-time collaborator Ken Whiteley. Ginalina is a fun-loving and gentle-spirited bilingual children’s musician. 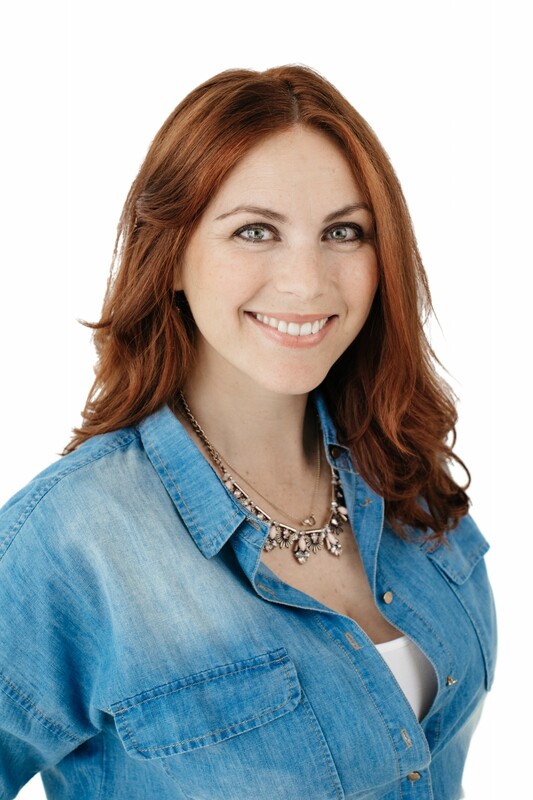 She is also a parent to four young kids, and believes in providing positive messages to young children to inspire them to be the best they can be. 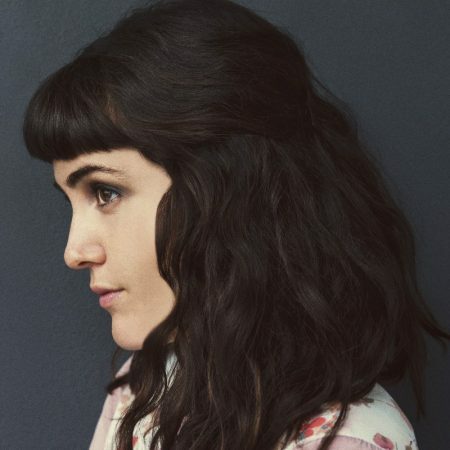 Her wholesome, fun, and indie-folk music has received industry recognition (e.g. Juno and Canadian Folk Music Award nomination, Parents’ Choice Gold). Her fast, fun, and sweet music celebrate: family, nature and children. Jessie Farrell is a multiple award-winning singer/songwriter whose work has been featured on CBC, ABC Australia, Curious World, BBC Kids and Kidoodle TV. Her hit singles include “Let’s Talk About Love” and “I Guess.” She has been recognized by the Junos, the CCMA’s, and The B.C. Country Music Association among others. 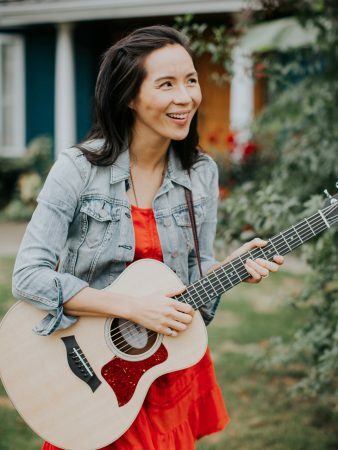 Her music has been featured in the hit CBC Series “Scout & The Gumboot Kids.” This year she is set to release 40 new music videos on CBC Kids in 2017. She lives in Saanich, British Columbia with her husband and two children, Eloise Bunny May and Waylon River. 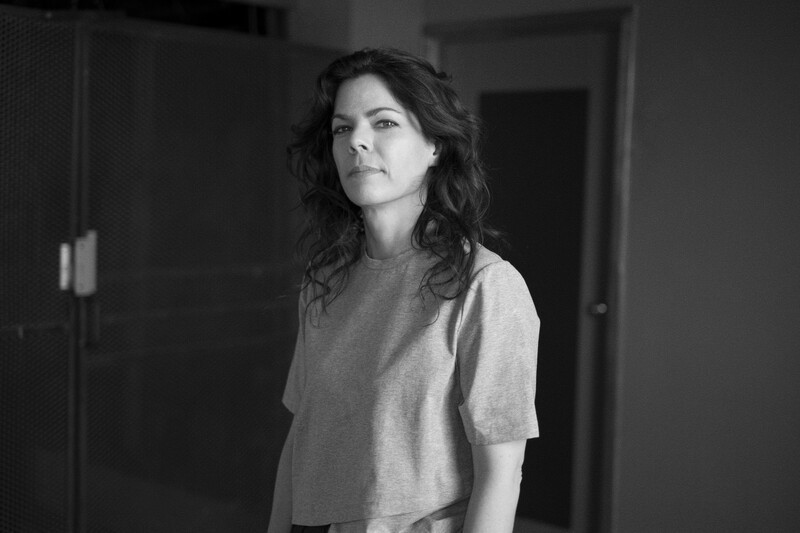 Stella’s second album, ‘Pants on Backwards,’ dropped on December 11th, 2016, and includes her band, ‘The Rosie Joyfuls,’ to reflect the increased musical contributions of Stella’s sister, Sophie Swanson, and mother, Karen Pantuso-Swanson. Madame Diva et Micah le jeune voyageur - Zing-E-Zing! Madame Diva, personified by Jocelyne Baribeau, is a recipient of a prestigious Parents’ Choice Award recommendation in the US and has received a number of award nominations including the WCMA’s, Gala Trille Or, and the CFMA’s. Madame Diva, has travelled across the country entertaining children including at the renowed Just For Laughs Festival. Zing-E-Zing was created with her eleven year old son Micah who is a songwriter, actor and dancer. The song Je t’aime which talks about the love between a mother and son despite the distance that may separate them, is one of his original compositions. Hannah Shira Naiman’s banjo-grounded songs dance the listener into the Appalachian mountains and eras back in time, drawing on her roots in Toronto’s ‘old time’ folk music community to share powerful tales of hope and loss. 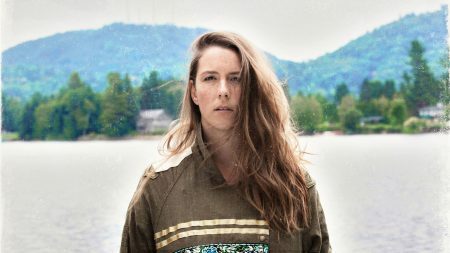 With a sound that’s been described as a cross between Gillian Welch and Sarah Harmer, Naiman crafts original songs that ring with influences of Ola Belle Reed, The Carter Family, American oldtime, and traditional English ballads. Her latest album, Know The Mountain (2016) builds on her acclaimed debut record Tether My Heart (2013) and delivers an even more bold, layered, and mature collection of songs. 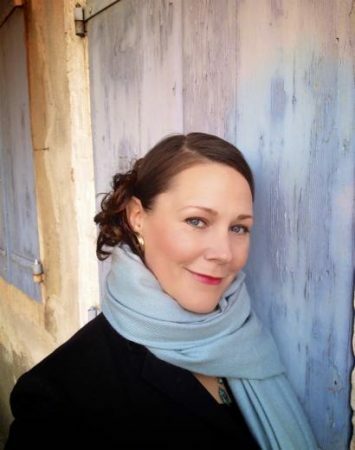 Drawing from a rich heritage of traditional francophone songs, Mélisande unearths songs that she adapts and presents with a feminist perspective with a distinctly modern sound. 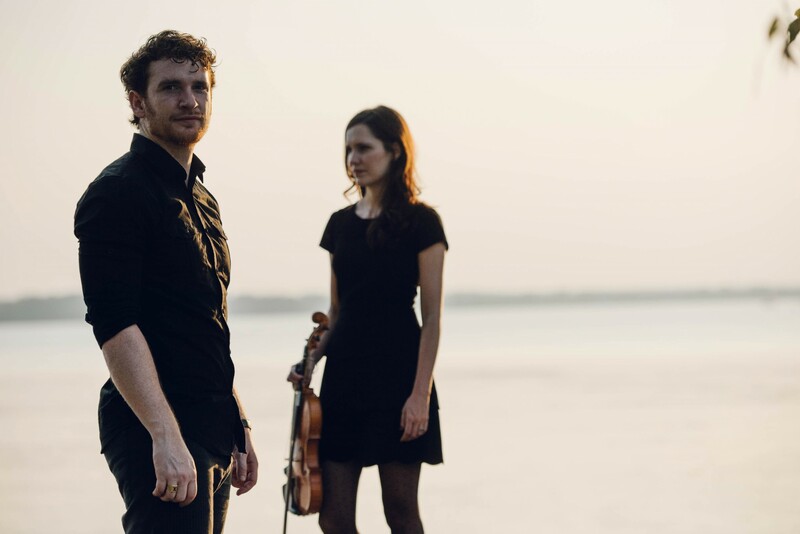 Mélisande [électrotrad] delivers an energetic blend of traditional music with a mix of acoustic and electric instruments, vocal harmonies and programming. Led by Mélisande and her husband Alexandre de Grosbois-Garand, the group offers a fresh approach to the folk-world-trad music scene. Their first album Les métamorphoses won a Canadian Folk Music Award and an Independent Music Award. Now the group travels internationally with concerts in Canada, the United States, France and Australia. 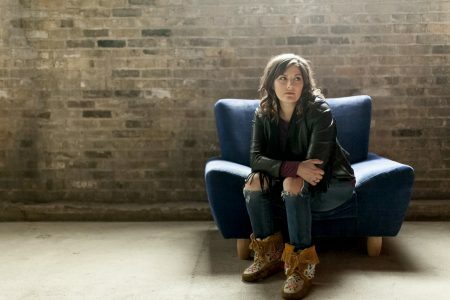 Acclaimed roots and country songwriter Sarah Jane Scouten hits new heights with her third full-length album When the Bloom Falls From the Rose, combining deep traditionalism and ruminative songwriting with the modern country music sensibilities of Jason Isbell, Sturgill Simpson and more. 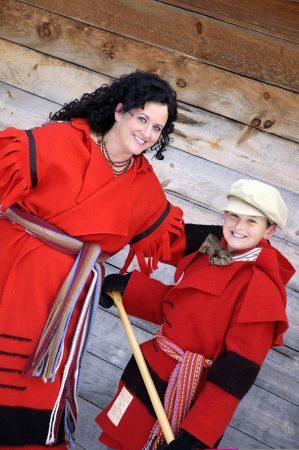 The record includes two traditional western Canadian songs intended to usher them into the 21st century. Veteran producer Andre Wahl and a stacked band deliver a remarkable new record. 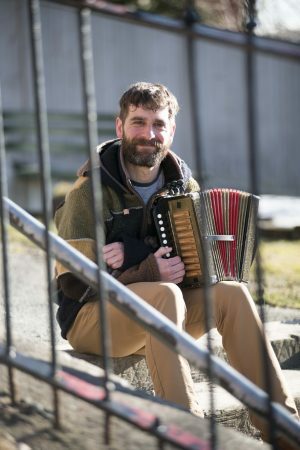 Dave Penny has been a steady presence on the local folk scene as an accordion player and composer of songs that are truly unique to Newfoundland and Labrador. He has been a key figure in resurgence in popularity of Newfoundland recitations, along the way contributing popular pieces like A Townie Courted a Bayman’s Daughter to the local folk repertoire. Dave’s most recent recording—All Turned Around—promises to further strengthen his position as one of Newfoundland and Labradors most fun and diverse entertainers, with its driving accordion tunes and razor-sharp commentary on songs like Chase The Ace and #darkNL. Stephen Fearing’s music embodies a fierce intelligence, haunting candor, and steady-handed pursuit of fleeting beauty. 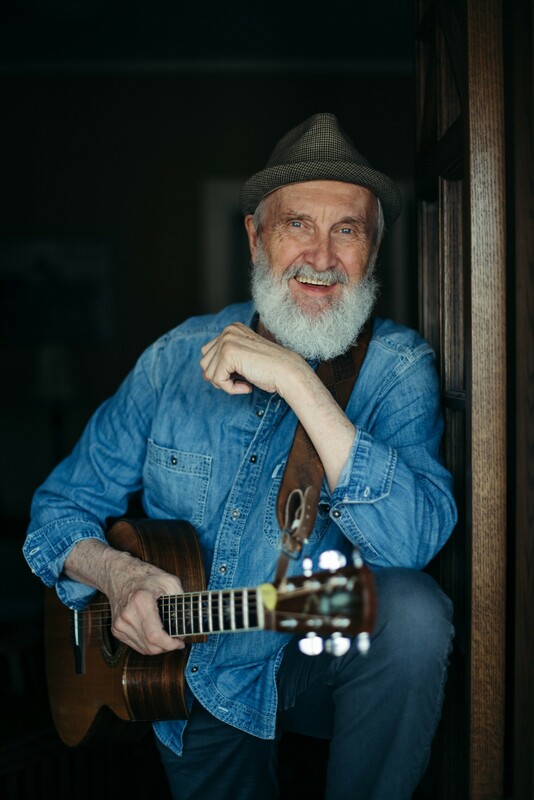 His abiding love for his craft and respect for his audience are reflected in his multiple awards and a touring circuit across Canada, Europe, and the UK. 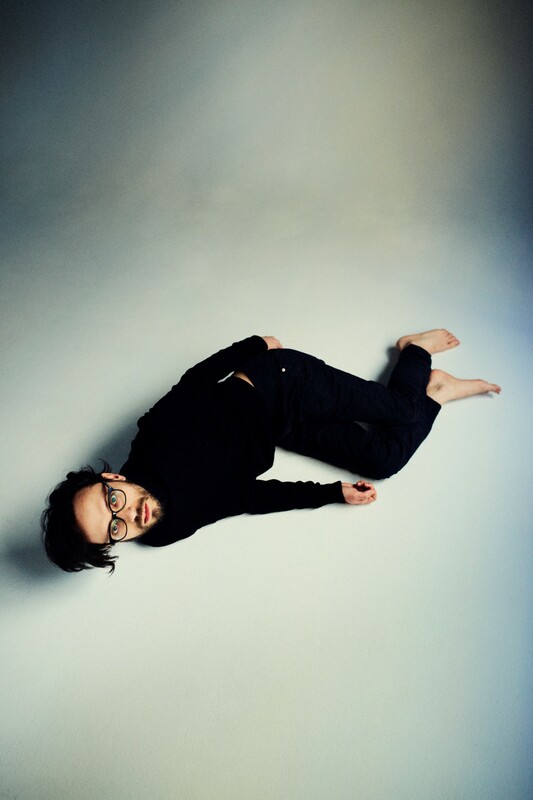 A beguiling teller of tales and intense instrumentalist, Fearing is an alluring entertainer – heartbreaking, expansive and full of mirth – with a voice that lifts you out into his wide world and “brings you back home to yourself”. 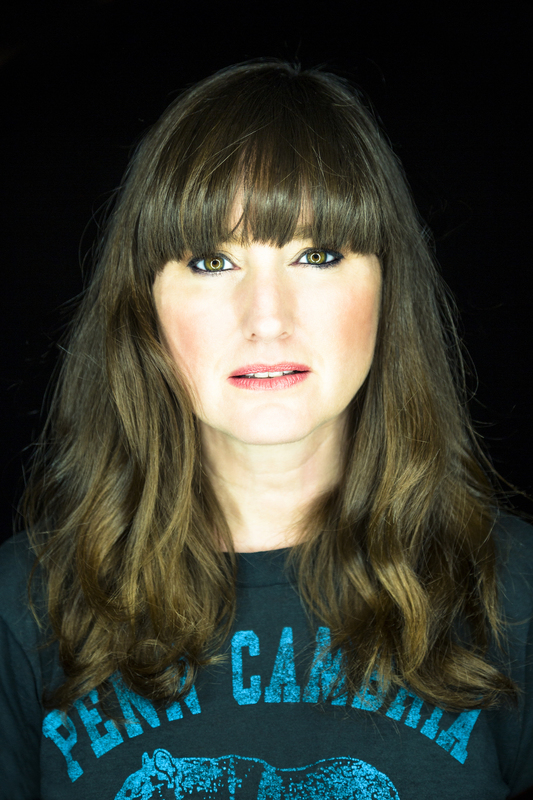 Lisa LeBlanc’s second full-length album, Why You Wanna Leave, Runaway Queen? – nominated for Contemporary Roots Album of the Year at the JUNOs -, was released on September 30th, 2016 via Bonsound. 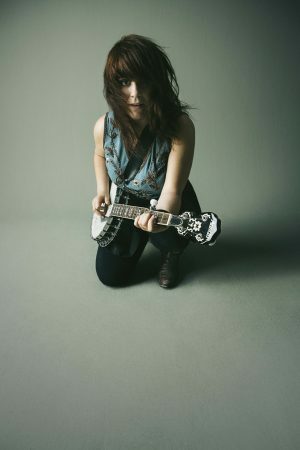 At 26 years old, the captivating Montreal singer-guitarist-banjo player who hails from Rosaireville, NB has toured for five years with her band and sold over 150 000 records on two continents. 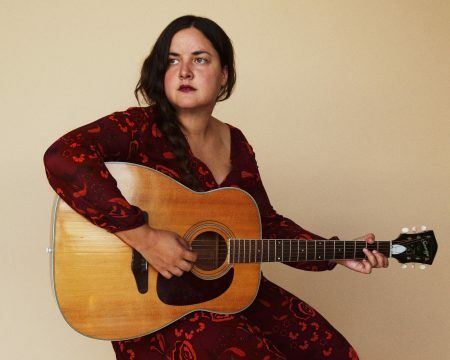 Her ability to compose rousing, heart-wrenching narratives from everyday tales of love, friendship and heartbreak has been compared to the sharp wit of Courtney Barnett, the rambling honesty of Bob Dylan and the high-flying sincerity of Dolly Parton. Coco Love Alcorn has always followed her spirit, but never so literally as with her latest album, Wonderland. The songs spring from her personal journey, but true to her nature, Coco offers a universal interpretation that invites all listeners to jump in and sing along. 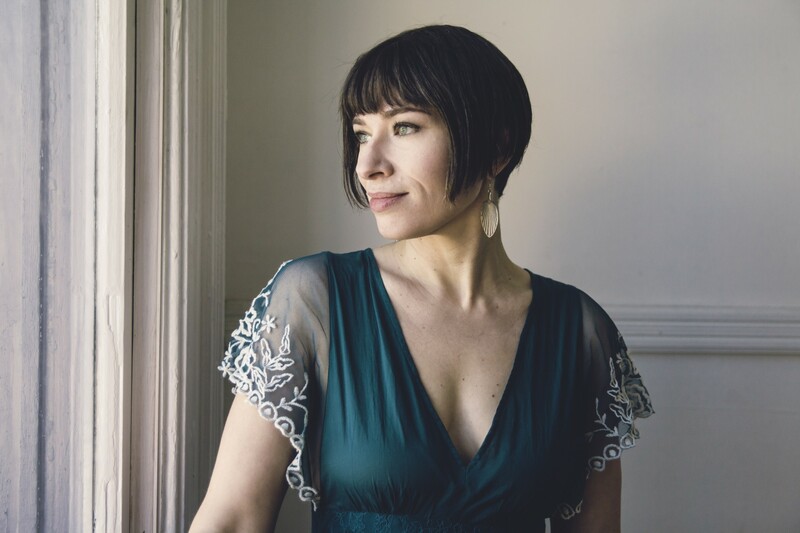 Suzie Ungerleider began performing as Oh Susanna in the mid-1990s, crafting a persona that matched the timeless qualities of her music, sounds that drew from the deep well of early 20th Century folk, country and blues, yet rooted in her finely-honed storytelling skills. This Canadian songstress has a voice that can pierce a heart of stone. Her superbly crafted songs often tell stories of troubled souls who rebel against their circumstances to attain a quiet dignity. These are tales of longing and love, of small town joys and pains, of our simple feelings and strong passions. Roberto Lopez is a Colombian-Canadian musician and composer who pushes the boundaries of modern Latin music with hip arrangements. 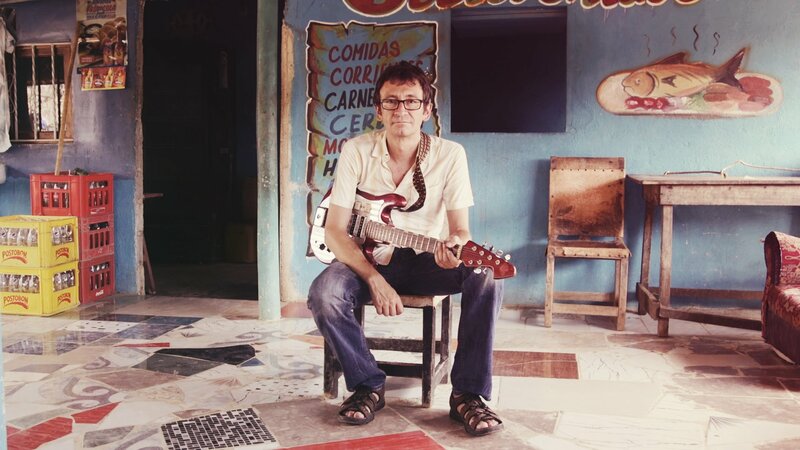 Under Colombian grooves he unabashedly adds jazz, funk and electronic music to the mix. 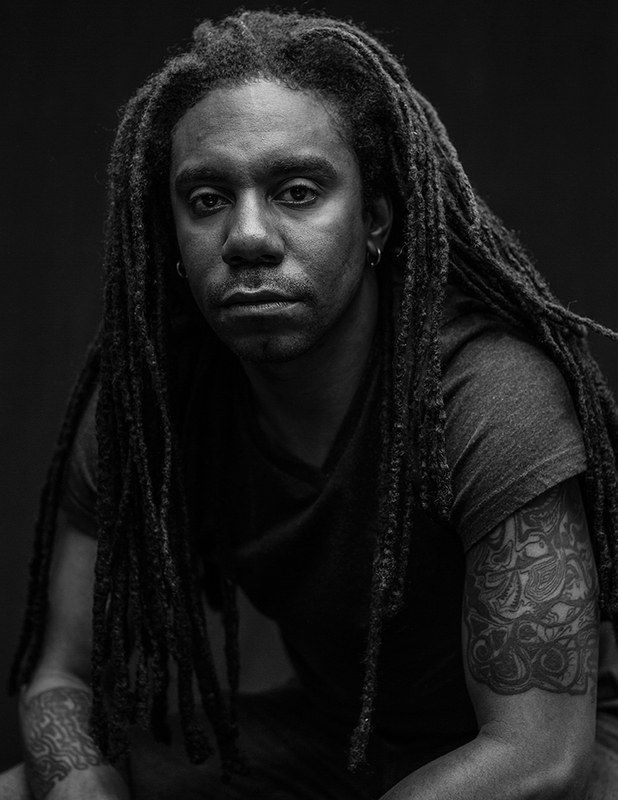 He has received several nominations and awards (JUNO, ADISQ, GAMIQ, Canadian Folk Music Awards, Artiste révélation Radio-Canada), and his last album, Criollo Electrik (March 2017), is a unique sonic exploration of his Latin roots, produced by Ivan Duran. Award winning guitarist Maneli Jamal has wowed audiences around the world with his visual style of playing acoustic guitar. He incorporates many musical textures in his performances while keeping rhythm with his two hands but you’ll swear he has a trio with him. You’ve got to visually see him live to experience what you thought is possible with the acoustic guitar. He has over 5 million video views and 100,000+ followers on social media sites making him an artist to watch for. 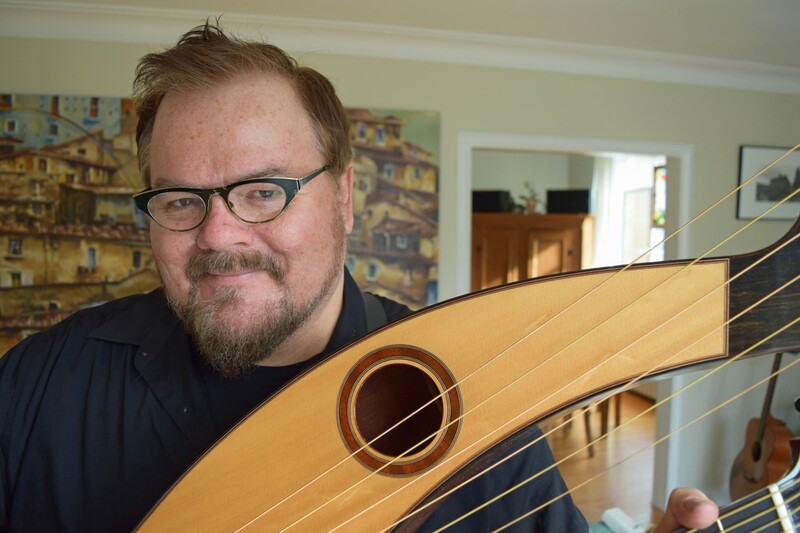 Glenn Chatten is a veteran Canadian performer, with over thirty years of experience as an outstanding finger-style acoustic guitarist and recording artist. His compositions are heartfelt, sincere in their intent and execution. They both provoke and entertain, with edgy, well grooved rhythms, but also soothe the spirit with mystical, peaceful melodies akin to a meditation with echoes of eastern and Celtic influences. His newest recording, Dragonfly, is a musical journey through the thin, “in-between” spaces of life we sometimes ignore. 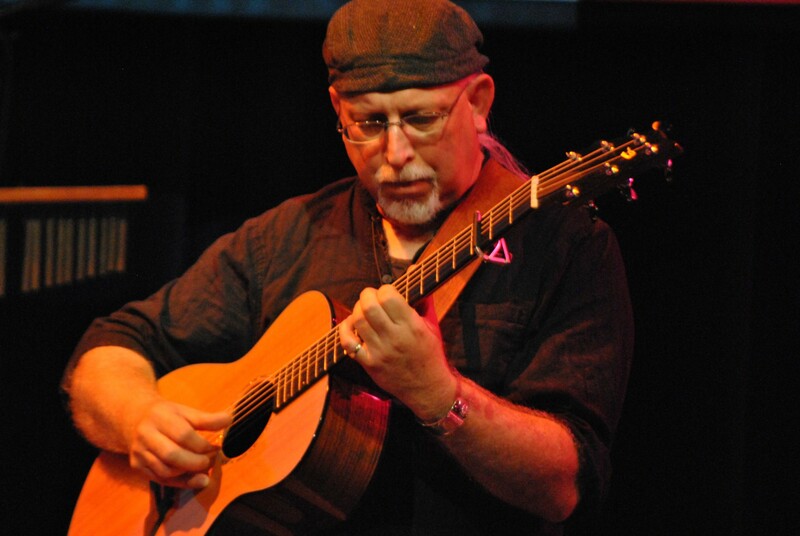 Don Ross has influenced a generation of acoustic guitarists with his innovative compositional and technical approaches. He has released 16 solo CDs and a pair of collaborative albums since 1989 as well as two live concert DVDs. Don tours internationally across almost every continent. His latest album showcases both his instrumental and vocal skills. 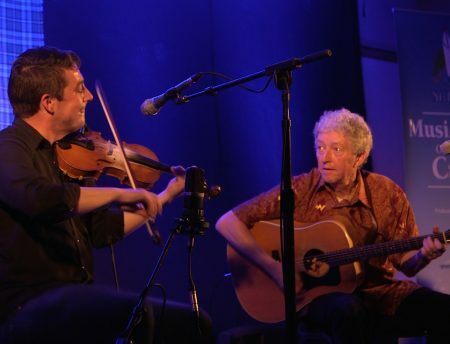 Guitarist/composer Scott Macmillan and fiddler/composer Colin Grant have joined forces as an exciting new duo, releasing their innovative debut recording ‘Good2Go’, the recipient of Traditional Instrumental Album of the Year at the 2017 East Coast Music Awards. For over 40 years Macmillan has endured as a significant player in the East Coast Music scene expanding audiences for Atlantic Canadian Celtic, Classical, Blues, and Jazz both nationally and internationally. Colin Grant continues to define himself as a traditional Cape Breton musician with the artistic flexibility of a contemporary instrumentalist, exploring a wide array of genres as a solo and side player. 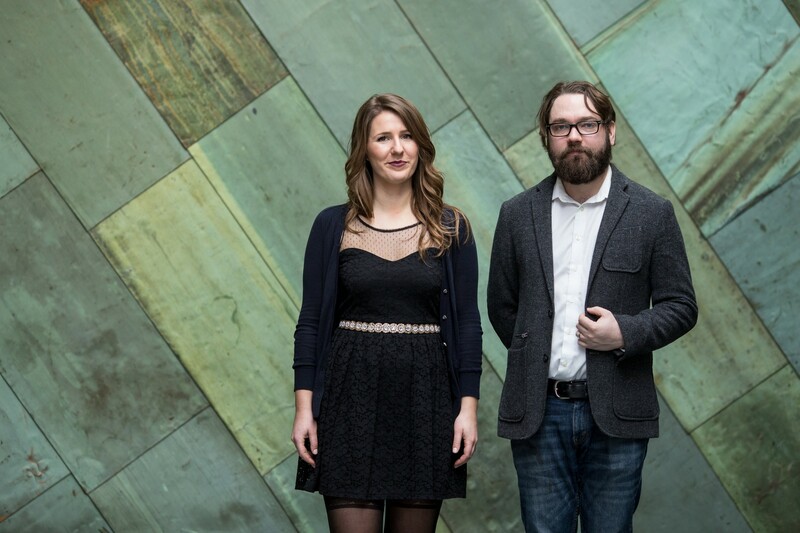 Alexis MacIsaac and Calum MacKenzie are an eclectic Celtic instrumental duo. 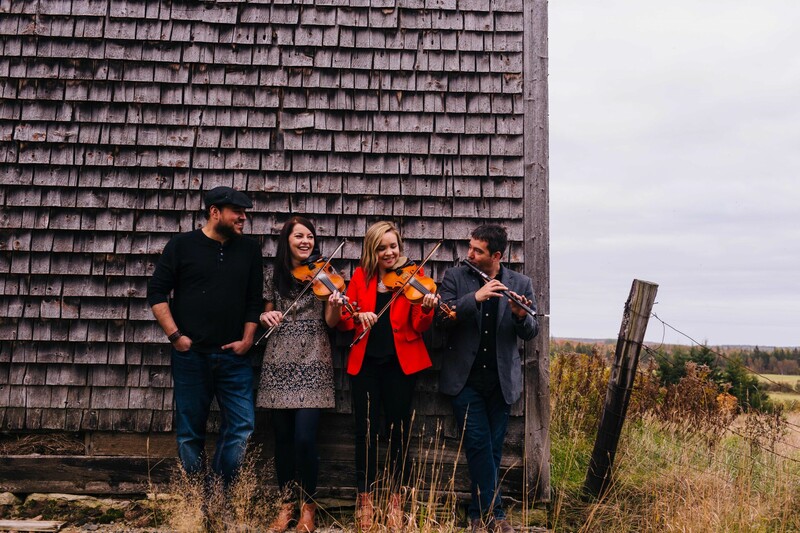 They have combined Calum’s Hebridean roots and distinctive Cape Breton piano style with Alexis’s harmonization of Irish, Scottish and Cape Breton sounds on the fiddle. Through the spirit of their respective approaches to music, they have created a clean and seamless sound that is grounded in tradition. 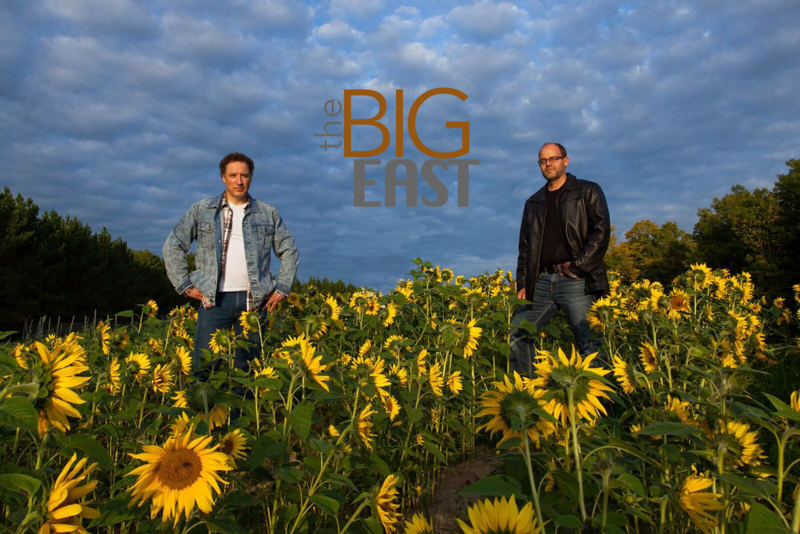 Their debut album, The Bay Street Sessions, is a compilation of original and traditional compositions and arrangements, infused with centuries-old feeling and contemporary flair; their mutual love for music articulated in each note and phrase from bow to key. For nearly 20 years Toronto’s Beyond the Pale has been making its distinctive brand of boundary-busting Eurofolk fusion. Inspired by Klezmer and Balkan styles but informed by everything from jazz and classical music to bluegrass and reggae, Beyond the Pale’s music traverses a vast and exotic musical landscape, bound by no particular idiom but shaped by many. 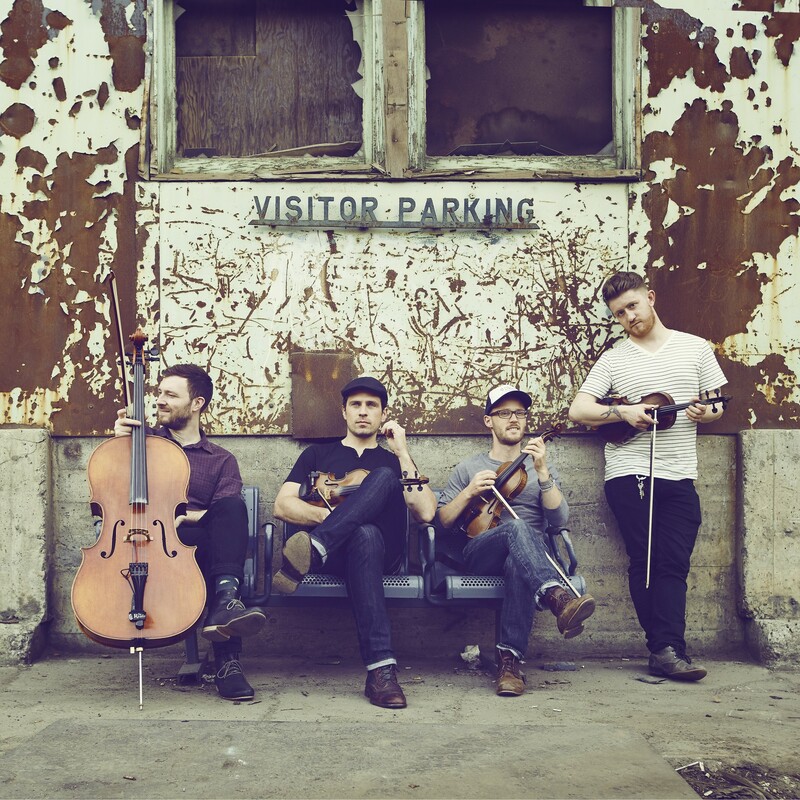 They are three-time Canadian Folk Music Award winners, and have toured extensively across North America, Europe and Australia. 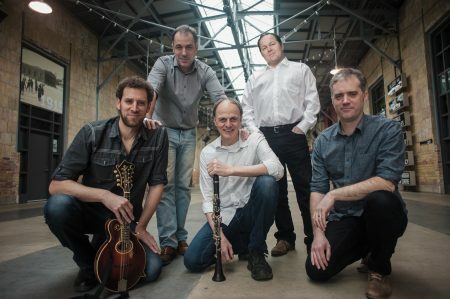 Beyond the Pale are Bret Higgins (bass), Aleksandar Gajic (violin), Milos Popovic (accordion), Eric Stein (mandolin), and Martin van de Ven (clarinets). 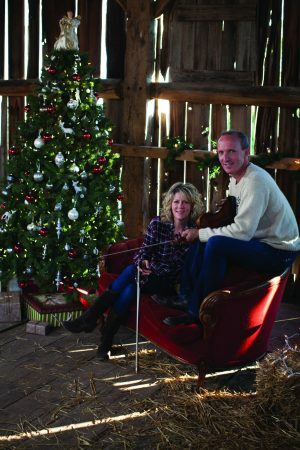 Natalie MacMaster has a recording career now spanning 25 years, this Order of Canada recipient has released 11 albums that have notched sales of over 200,000 copies. She has won two JUNO and eleven East Coast Music Awards and been nominated for a Grammy. Donnell Leahy is no stranger to the awards podium himself. 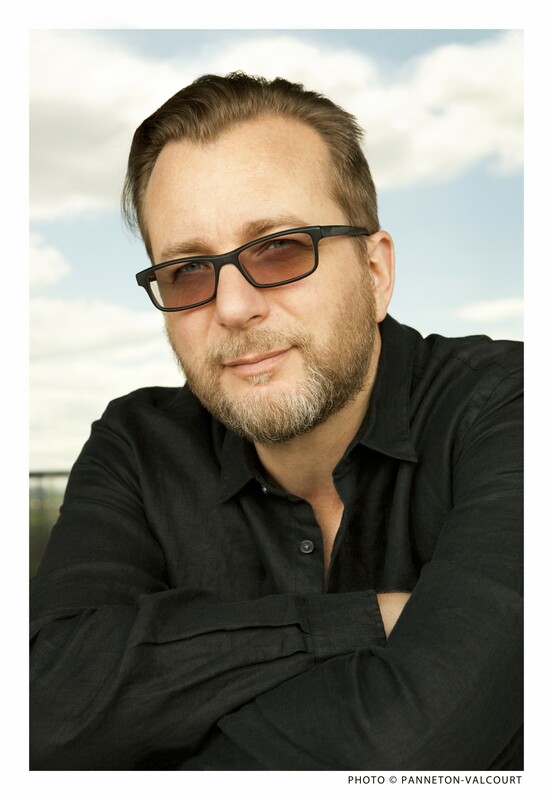 He is the oldest brother of the internationally acclaimed family musical group Leahy, winners of three JUNO Awards. Widely recognized as one of the best Celtic fiddlers in the world, his high-energy playing style also makes him a highly popular performer. Since first planting roots within the Canadian music scene in 2011, Ken Yates has steadily grown a reputation as one of the country’s brightest singer/songwriters. His sound offers the complete package—unforgettable melodies, emotionally charged storytelling, and top-notch guitar chops—all gloriously displayed on Yates’ new album, Huntsville. 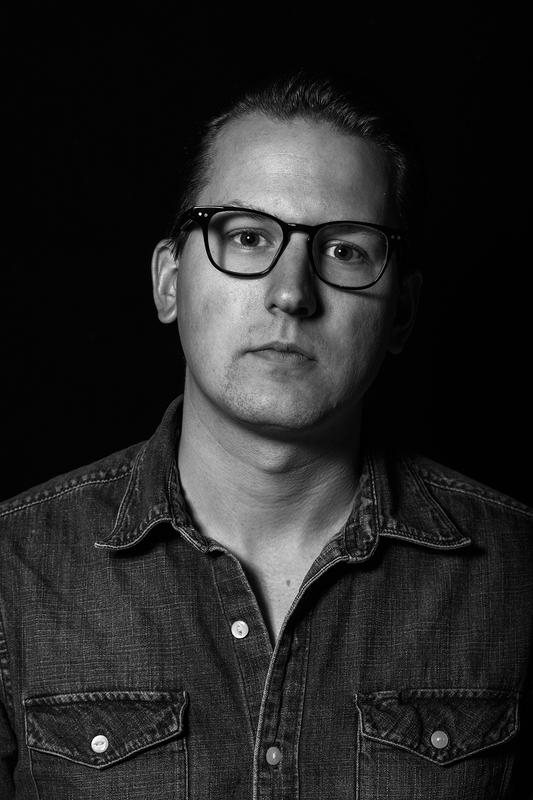 Produced by Jim Bryson (Weakerthans, Kathleen Edwards), Yates’ second full-length effort is a major stylistic step forward, with its 11 tracks capturing his artistic evolution amid extensive touring over the past three years. A native of London, Ontario (a few hours’ drive south of the actual Huntsville), Yates studied at the prestigious Berklee College of Music in Boston. 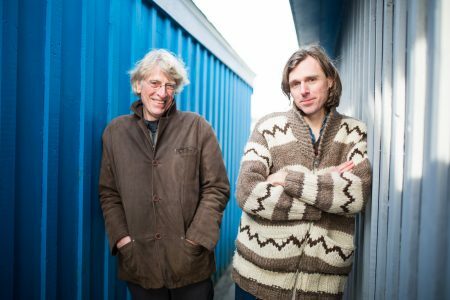 Edmonton’s Scott Cook has managed to distil the stories collected over a decade of near-incessant touring across Canada, the USA, Europe, Asia, Australia into straight-talking, keenly observant verse. His 2013 album One More Time Around was nominated for a CFMA, and its opening track “Pass It Along” won the Folk and Acoustic category in the UK Songwriting Contest. In 2017 he released his sixth album Further Down the Line with a 132-page book looking back on his travels. All the hard miles notwithstanding, he still believes that songs can change your life, and your life can change the world. 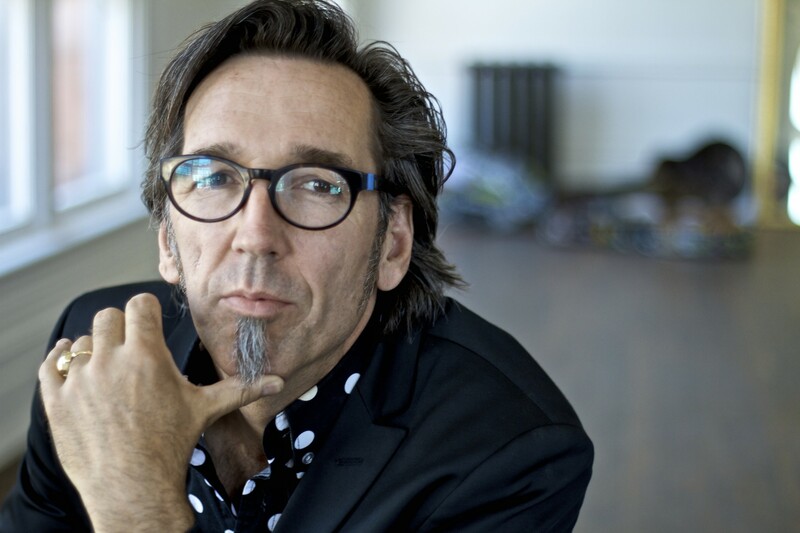 Named Songwriter of the Year at the 2014 ADISQ Gala for Ornithologie, la nuit, Philippe B returns with a fifth album, La grande nuit vidéo, to be released on May 12th, 2017 via Bonsound. With his critically-acclaimed album Variations fantômes (2011), he explored and sampled the work of classical composers, then used multiple wind instruments to create a late-night soundtrack on the Polaris Long-Listed Ornithologie, la nuit (2014). For this new LP, Philippe B was inspired to create cinematic chord arrangements, reaffirming that he is one of the great Quebecois singer-songwriters. In the new Hay Babies’ La 4ième dimension (version longue), there isn’t a single country song. Not even one. There is of course the Joan Baez-folk song (which is the only acoustic track) and another bluesy one. Beyond that, it’s all 60s-70s rock and 80s ballads, with hints of instrumentals, grunge and psychedelic. Simply put, it’s a badass bilingual melting pot for the acadian ladies who are sick of the good girl label. 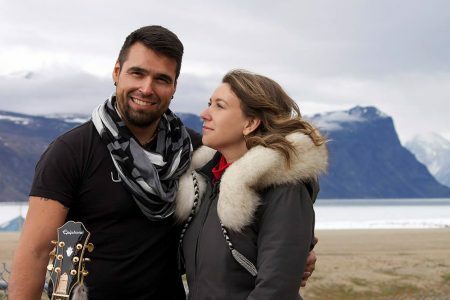 Twin Flames, Canadian Folk Music Award winners for Aboriginal songwriters of the year 2016 have a great ability to wrap Indigenous stories in traditional styles, often incorporating both Western and Indigenous instruments in their songs. Together they take their audience on a musical journey across Canada and the Arctic. Despite polar opposite backgrounds, Twin Flames found a common musical language. 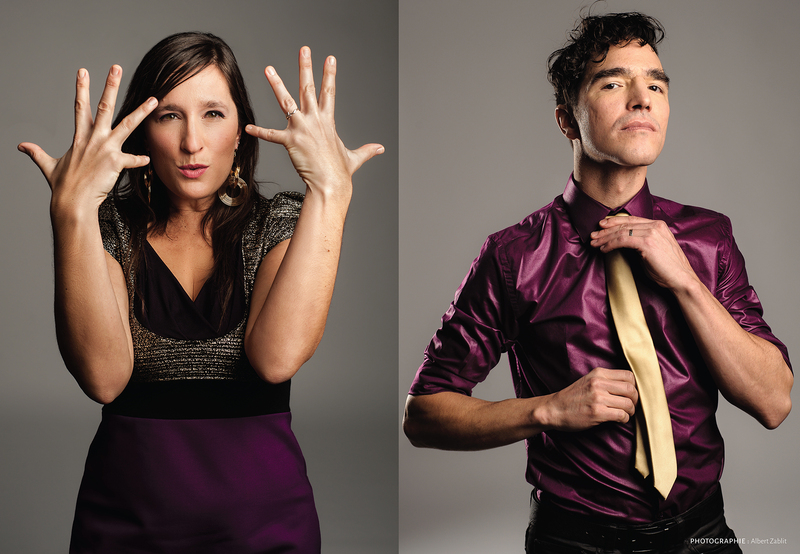 Twin Flames combines two unique artists: Jaaji, an Inuk/Mohawk man from Nunavik, and Chelsey June, a Métis woman from Ottawa. Cindy Paul is deeply connected with her Indigenous roots and it shines through in every breath and beat. 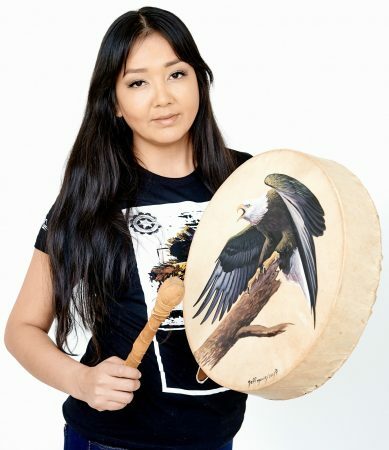 She has been honored with nominations from the Prairie Music Awards, the Canadian Aboriginal Music Awards and the Native American Music Awards. Her newest release The Flight was met with remarkable reviews. Cindy is nominated for the 2017 Western Canadian Music Awards Indigenous Artist of the Year and the 2017 Edmonton Music Awards Indigenous Recording of the Year. The title track is featured on the NAMA compilation CD Water Is Life and has propelled Cindy’s unique neo-folk style sound into radio worldwide. Desiree Dorion’s fourth studio album, “Tough Street” is a beautiful and humble homage to her upbringing. This is her most personal and honest work yet. The album compiles “darkly beautiful and introspective songs…[her] best recorded vocals yet,” (Bruce Leperre, 730 CKDM). Her first single from the album, “Whiskey Knows” landed on the Canadian country music charts and is still climbing the Indigenous Music Countdown. Lisa Muswagon is a Nakoda Cree member of the Pimicikamak Cree Nation. Her late grandfather told legends of Northern Manitoba sharing knowledge of culture. Her father gave her the gift of the hand drum at a young age where she grew inspired with the teachings. The album Buffalo and Rabbits is about Wapos (Rabbit), who travels on a journey to visit with Pison (Buffalo) to learn the story of the round dance as the story was lost long ago. The songs are sounds of the drum, vocals and harmonies to reflect Wapos’ journey to bring home the story. Since the release in 2014 of Lighthouse, a first album warmly welcomed, Coco Méliès has become known by multiplying the concerts in Quebec and Europe. The formation is back with The Riddle, a new opus with rich atmospheres. Defying the norms, the universe of Coco Méliès rests on nuances and subtle contrasts. 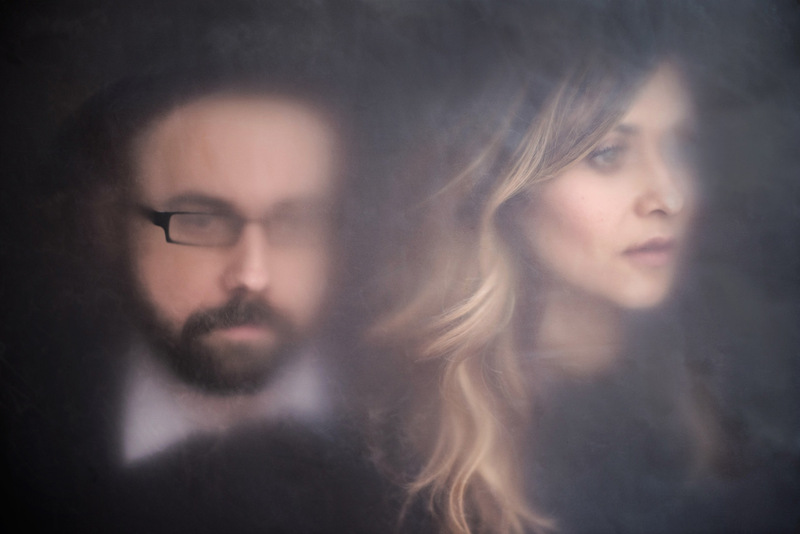 Well knowed for its distinctive vocal harmonies and refined folk, the duo once again offers, with The Riddle, deep pieces that are sometimes enveloping, sometimes luminous. Canadian maritimer Luke Fraser and prairie-girl Sarah Frank share a love of folk songs and fiddle tunes. Drawing from the Canadian, American, and Celtic traditions, the two pour the spirit of story-telling and kitchen parties into their own writing. 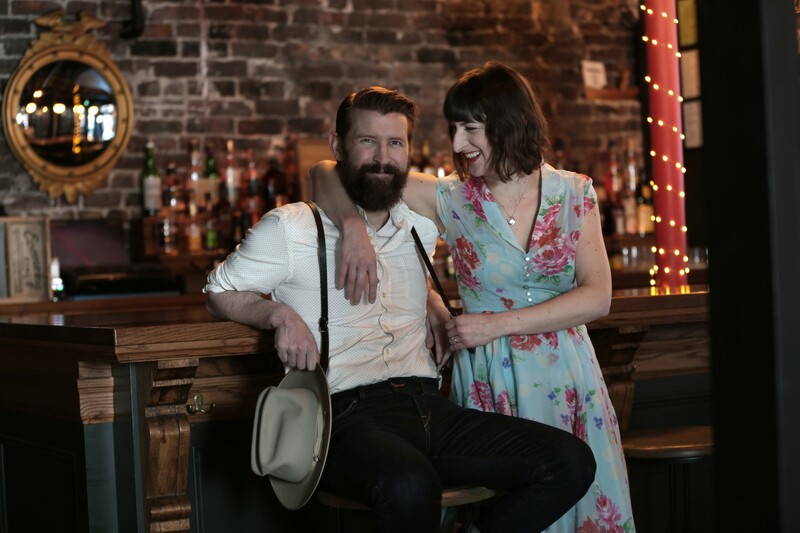 Luke brings guitar, mandolin and home-grown east coast vocals in harmony with Sarah’s singing, lyrical fiddle playing and claw-hammer banjo. Luke and Sarah grew up listening to The Beatles and Beethoven on cassette tapes and both are music graduates from Montreal’s McGill University. “New Shoes” is their first album for Borealis Records. 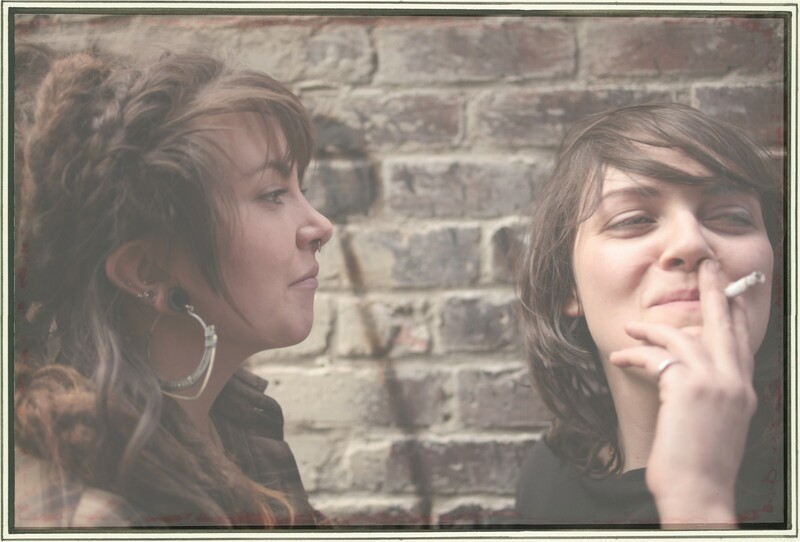 Mama’s Broke is a powerful folk duo that deliver a compelling performance with heart and raw energy. 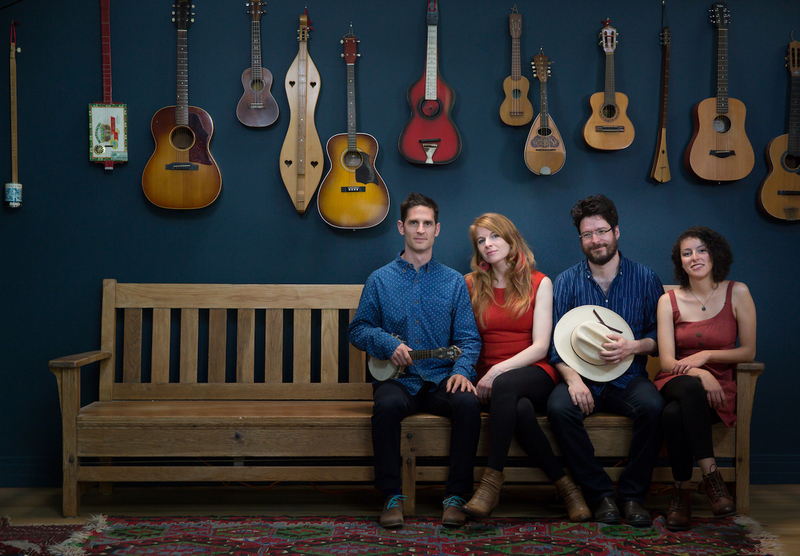 Their two strong voices blend to create haunting harmonies, while they artfully juggle an array of instruments including fiddle, banjo, guitar and mandolin, and incorporate traditional dance and foot percussion as part of their performance. Their original – and often dark – compositions push the boundaries of tradition and the constraints of genre. Drawing from many styles such as old-time, Québécois , blues, Celtic, Balkan and doom metal, they create a soundscape that is both familiar and new. Olenka Bastian and Jonathan Chandler are Silent Winters, an Ottawa folk duo with a warm, intimate repertoire born of cold months and fireside contemplation. 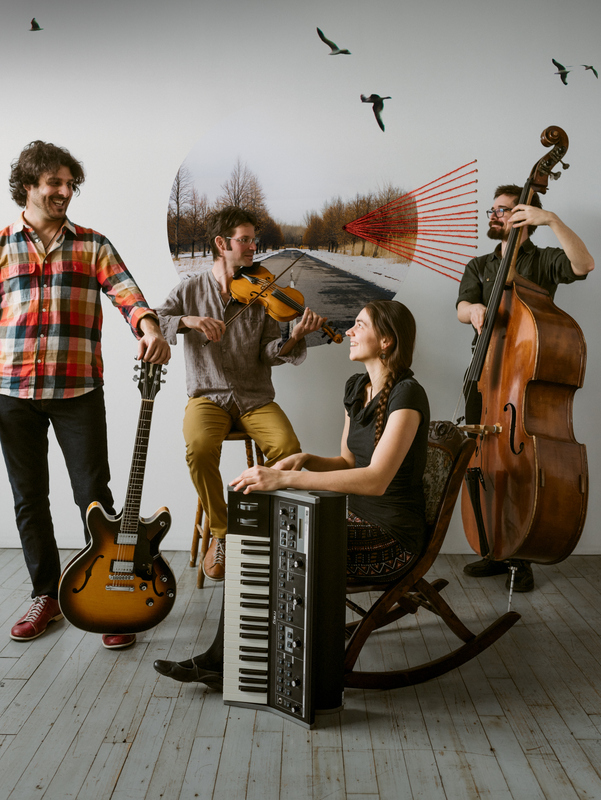 Channeling a musical chemistry perfected while harmonizing as lead singers in rock outfit Amos the Transparent, Olenka and Jonathan craft pared-down, acoustic compositions supporting pure vocals and heart-melting lyrics. Silent Winters claims its creative heritage in such acts as Simon & Garfunkel, The Milk Carton Kids and The Avett Brothers, while treading fresh musical tracks with crystal-clear harmonies and tender, poetic storytelling. 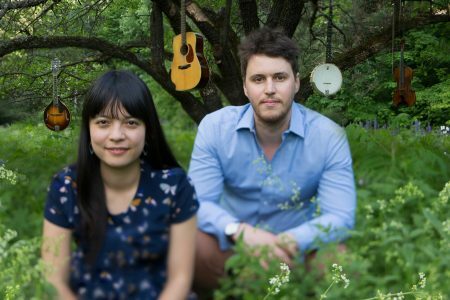 They have been called “the answer to the loss of The Civil Wars”, have a listen. Winners of the Edmonton Folk Festival Emerging Artist Award and the 2016 All-Albertan Song Contest, 100 mile house have shared their unique brand of transatlantic folk at some of Canada’s biggest festivals. 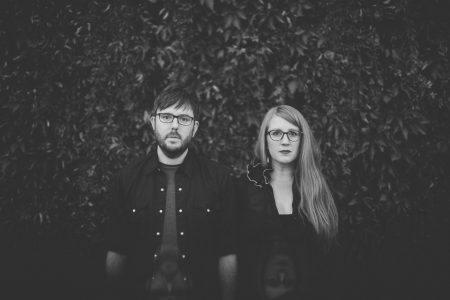 Their new album Hiraeth reached No.1 on CKUA and received stellar reviews including the front page of the Canadian folk music magazine Penguin Eggs. 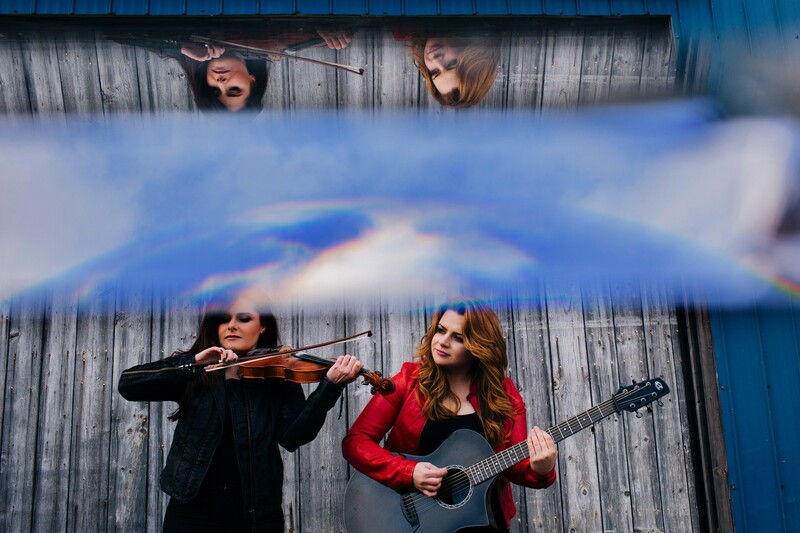 With performances at the 2017 Edmonton, Calgary, Winnipeg and Bear Creek Folk Festivals as well as nominations for ‘Roots Duo/Group of the Year’ (WCMA) and ‘Album of the Year’ (Edmonton Music Awards), their success is set to continue. From Iqaluit, the Arctic capital of Nunavut, the Jerry Cans sing politically-charged original material in Inuktitut, combining high-energy folk rock with throat singing and traditional instruments. 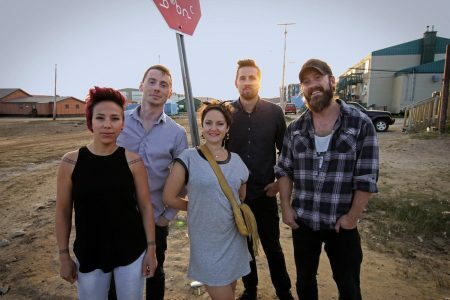 Committed to preserving and promoting Inuk culture, the band has performed in Australia (two tours), New Zealand, Norway, Greenland, Scotland and Cuba. 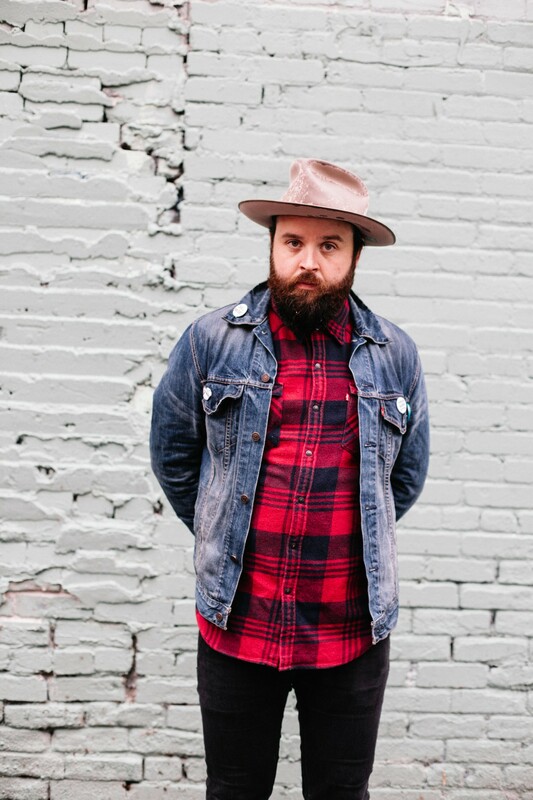 Leeroy Stagger’s ever-evolving fusion of roots, rock and pop has confirmed his status as one of Canada’s best contemporary singer/songwriters. Since first making his mark on the Canadian independent music scene at the turn of this century, Leeroy Stagger has toured the world, both on his own and with the likes of Steve Earle, Pixies, Modest Mouse and Evan Dando. 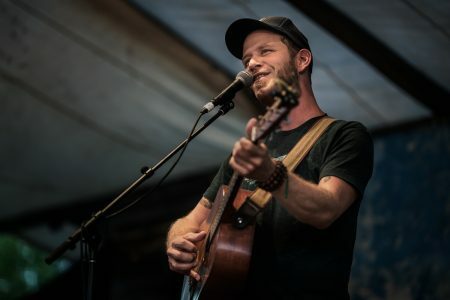 Stagger’s performances and songwriting have won him The Peak 95.3 FM “Peak Performance Project” contest and the Calgary Folk Festival “Pros and Prose” contest. Zachary Lucky is unapologetically old-school country, armed with a husky, baritone voice – He receives comparisons to songwriters such as Gordan Lightfoot and Kris Kristofferson and sings of Canadian places and people as knowingly as he might Townes Van Zandt or the Rio Grande. It’s a relatable show on many levels, and conjures universal feelings that have passed through our collective timelines. Already hailed as a master storyteller by outlets ranging from No Depression to The Globe and Mail!, Lucky’s Everywhere A Man Can Be is his most powerful statement to date. BEYRIES is a singer-songwriter and self-taught musician born in Montreal. She took refuge at an early age in the beauty of her family piano which became a reassuring and immersive soundtrack for her childhood. Several years later came the desire to share and convert the vestiges of her past into lyrics and melodies. Her powerful and touching songs are without pretension, and tend to bring people together with their universal and timeless themes. Her music is captivating and takes us back to what is essential: the heart. 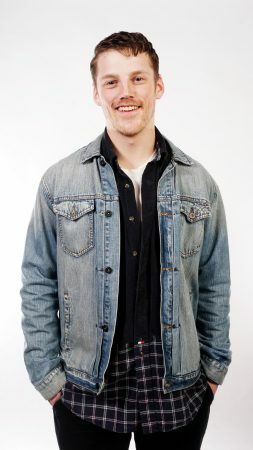 BEYRIES’ debut album, Landing, was released in February 2017. Toronto-based musician, Louis Simão has been composing, performing and recording as a multi-instrumentalist in a variety of genres for twenty years. In 2016 Simão released his much-anticipated album, “A Luz”, which takes the listener on a journey through the sounds of the Portuguese-speaking world. 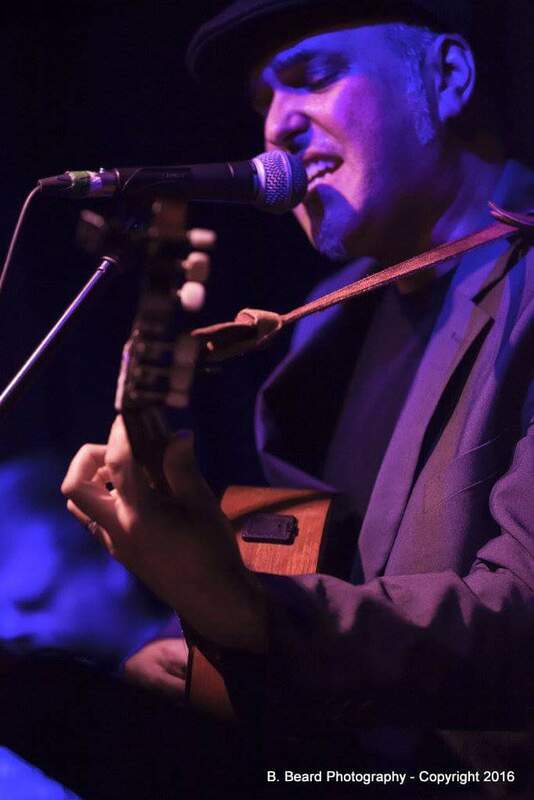 His cultural background combined with a diverse musical sensibility and compositional style come together to create a voice that is at once universal while remaining deeply personal, easily traversing samba, Portuguese folkloric music, funk and lush string arrangements. Most recently, Simão’s composition “Três Anos” won Song of the Year in the 2017 International Portuguese Music Awards. Briga’s music is a reflection of her fragmented identity. Her compositions are part instrumentals, part songs, and all are accompanied by her fervent violin firmly rooted in eastern European folk sounds learned from the days her father played the piano. She has toured across Canada, the United-States, and Europe. 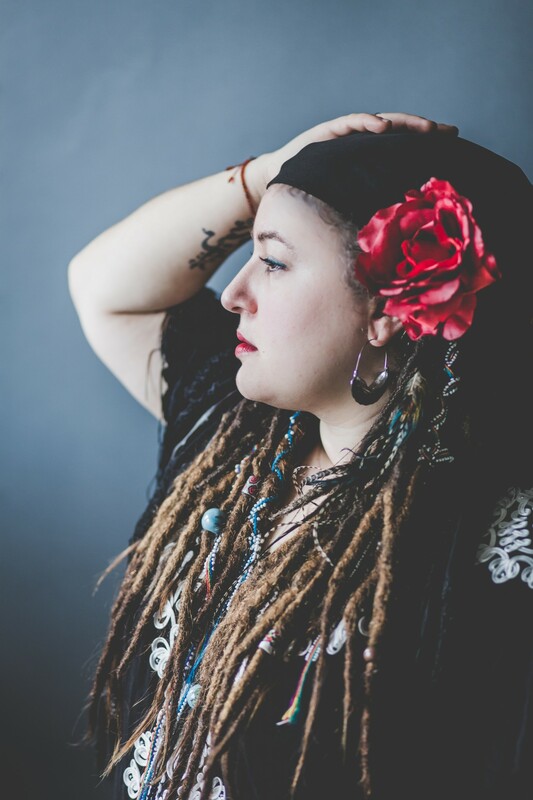 Her unique sound is described as bring a Balkan/Quebecois mash-up of music, delivered with a Turbo Folk edge, wrapped up in heavy grooves that drive her wailing violin and voice. Briga’s new album: “Femme” brings together various female virtuosos from around the world and is produced by Josh Dolgin (So-called). While growing up in her native land of Iran, Farnaz sang at every available opportunity but longed to find her authentic artist’s voice. Upon her move to Canada, she studied Operatic vocal training, Persian folk singing, then Flamenco cante through the instruction of Oscar Nieto, Vicente Griego, Naike Ponce and Lucas Ortega among others. 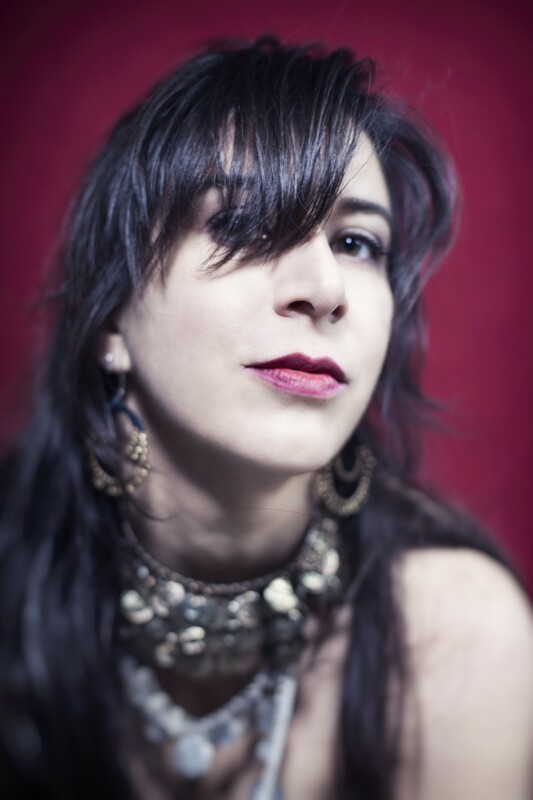 Farnaz’s love of music and performance art inspired her to create the collaborative project “Mashregh Ensemble” in 2012, which combine’s Persian poetry with Flamenco music. 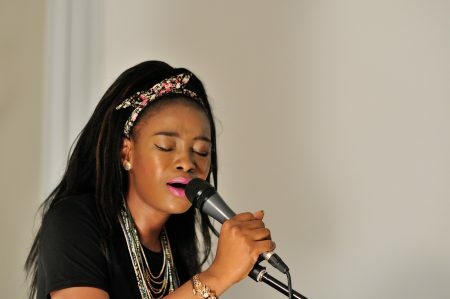 Kelly Bado is a Canadian bilingual singer-songwriter , born in Côte d’Ivoire. Inspired by love, hope and social justice, her music is a seductive mix of R & B/Soul and World Music / Pop. Kelly is an extremely hard-working and devoted artist. In a very short time, she gained a prominent place on the local scene with her amazing voice, talent and influence. This is demonstrated by her performance on Parliament Hill for Canada 150th celebrations and other festivals in the country. With no less than 13 nominations for Chasse-Galerie and Télescope, MAZ launches a third album in 2017, entitled ID. Their IDs are sung and danced – they speak to heart, body and soul – without losing the mind! On stage, MAZ takes you on a musical journey that renews with Quebec’s musical heritage encounters a flow of jazz and electro. Keyboards, electric guitar and electro beats meet up with fiddle, banjo, double bass and voices over blazing Quebecois foot tapping. This wild ride has been praised by audiences and critics alike, both at home and abroad, owing to MAZ’s vibrant stage energy. Formed in late 2014, Turkwaz is a unique combination of four musician/singers, immersed in diverse traditions from mysterious Sufi devotional love songs, to rousing Thracian dance music. Each performer brings a special flavour to the group. Maryem Hassan Tollar draws on her Arabic language heritage, Jayne Brown and Sophia Grigoriadis bring their experience with Greek music to the mix and The love and respect they have for the traditions they draw from are clear but they are not afraid to arrange the tunes in new and unexpected ways to give them a fresh spin. From humble beginnings as a singer-songwriter circle, four Northern Ontario musicians come together to embark on a journey driven by an undeniable musical connection. With swirling harmonies as tall as the pines of their hometown, Hidden Roots Collective creates an immersive listening experience. 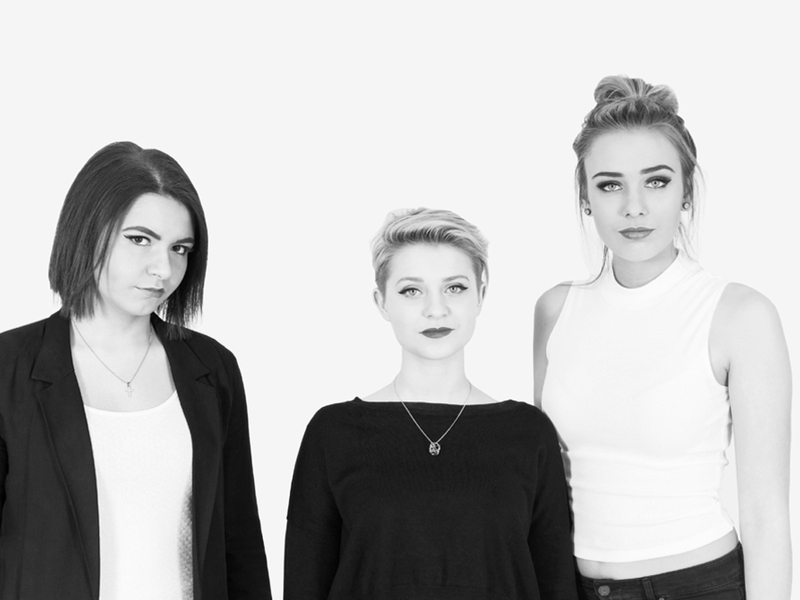 Their thoughtful arrangements and unique vocal stylings have captivated listeners across Canada. Their debut album ‘Come Up, Honey’ peaked at #6 on the earshot national Folk/Roots/Blues chart and earned them Best Folk/Roots album and runner-up for Best Song at the 2016 Toronto Independent Music Awards. 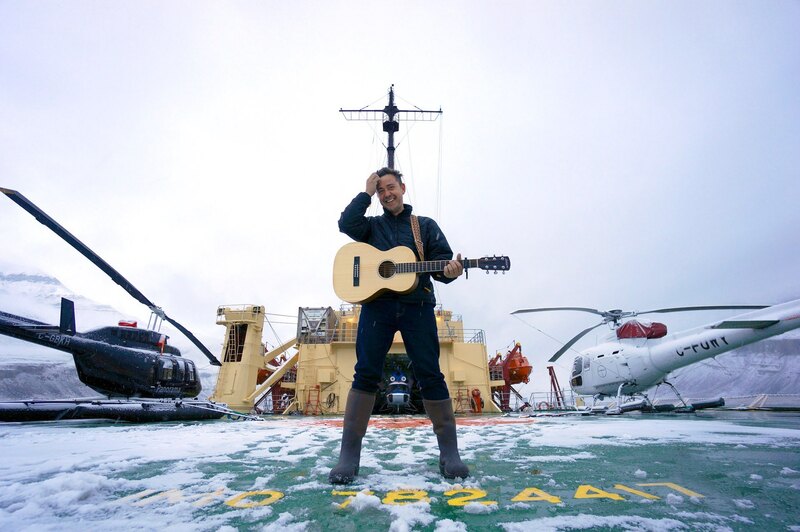 With nominations for three JUNO Awards, The Polaris Prize, The CBC’s “Heart Of Gold” AND a pile of albums under his belt, Danny Michel is unquestionably one of Canada’s finest songwriters. His thoughtful lyrics & earnest performances have earned him a devoted fan base. Michel’s latest project, “Khlebnikov” was written aboard a Russian Icebreaker on an arctic expedition with astronaut Chris Hadfield. The album features arrangements by long-time friend and award-winning film composer Rob Carli as well as performances from Hadfield himself. 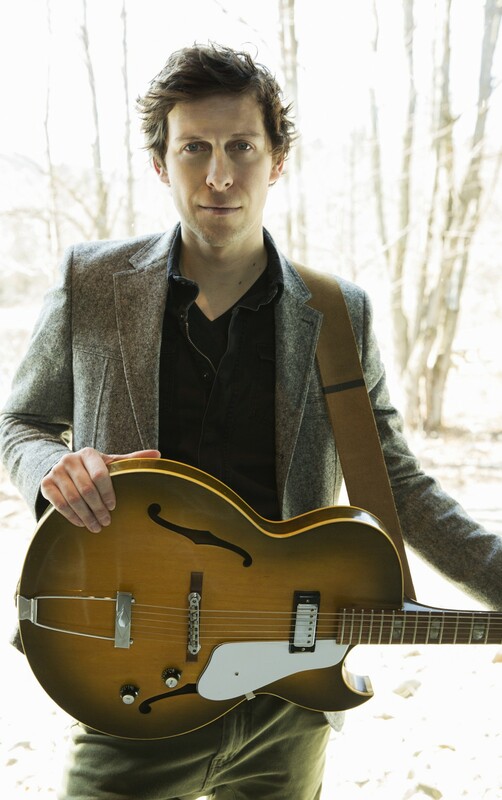 Many Canadian music fans know Joel Plaskett. He is a multiple JUNO Award winner, celebrated songwriter, has appeared several times on the Polaris Music Prize Short List, and sold out clubs and concert halls from one side of the country to the other. In 2017, he’ll be sharing the spotlight with his earliest musical influence – his father, Bill. 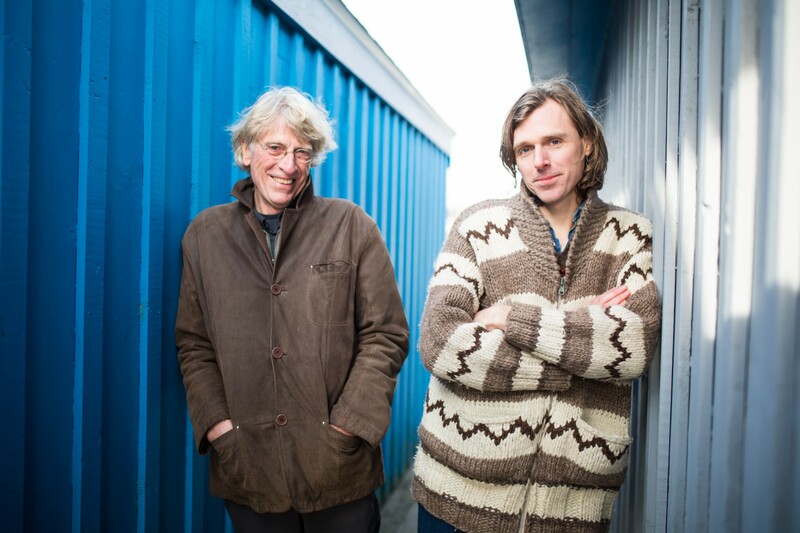 Solidarity, the first full-length musical collaboration between father and son, is a powerful collection of original and traditional songs, reflecting the duo’s individual journeys, shared beliefs, and personal politics. Experimental vocalist and artists Tanya Tagaq won the Polaris Prize for best Canadian album in 2014, for Animism. Those who thought she had then made her definitive artistic statement are in for a surprise. Also in for a shock are those who thought international success, playing to major festivals and packed houses all over the world, would lead to a mellower sound, or a more laid back approach. Tagaq follows up Animism with Retribution, an even more musically aggressive, more aggressively political, more challenging, more spin tingling, more power masterpiece. 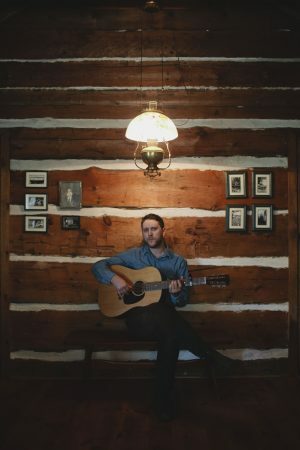 Jay Andrews’ musical journey has come full circle and brought him back to his traditional East Coast roots! 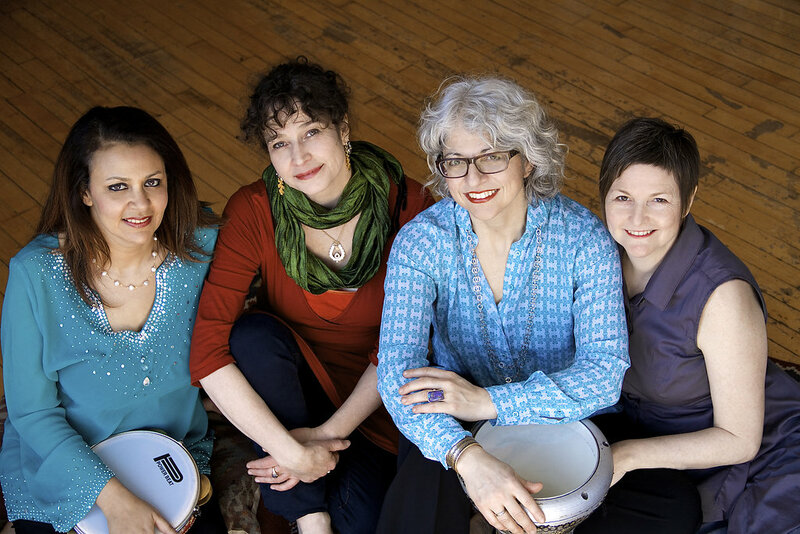 Shreem – Celtic Remixing brings to life traditional Celtic music with a new modern twist. Shreem produces a new sound that blends Celtic, electronic, and hip-hop music with hard-hitting drums and powerful, warm melodies. 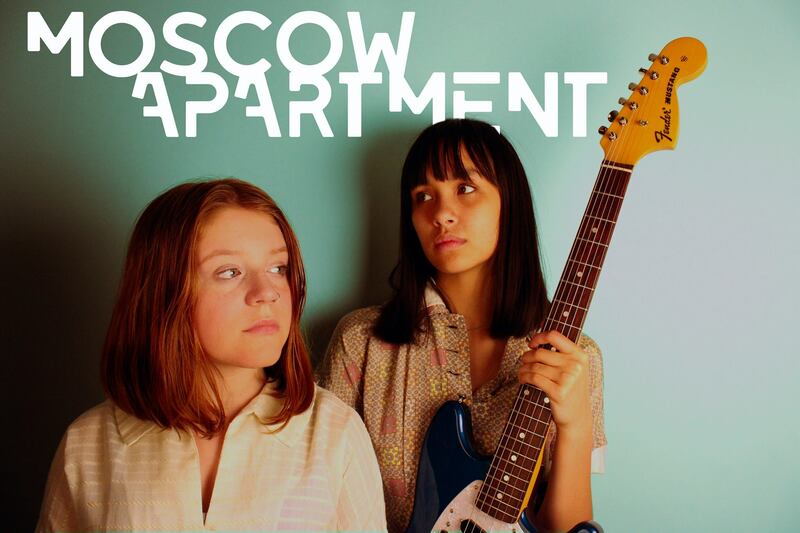 Moscow Apartment is an acoustic duo whose close, sweet harmonies make their original songs linger in the air. The heart of their work is exquisite song craft -seemingly beyond their fourteen and fifteen year old abilities and yet reflects the concerns of teenage-hood. 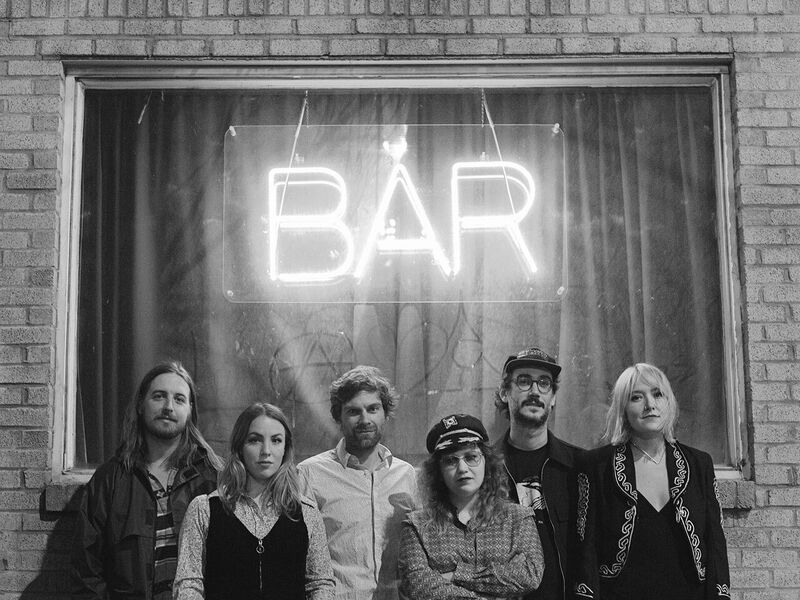 Influenced by Big Thief, Feist, Joni Mitchell, among others, Moscow Apartment love to sideways slide from more traditional folk to pop and electronic inspired indie rock. Brighid & Pascale, both grads of Girls Rock Camp Toronto, are powerful & mature songstresses and when they sing together it is like honey to the ears. Keltie is a 16 year old singer/songwriter from Sherwood Park. One of her songs, Someone Tell Her, has received recognition in the form of a Canadian Folk Music Award nomination, a CBC Searchlight Song Competition Regional Finalist, and a Canadian Songwriting Competition Finalist with Honorable Mention. 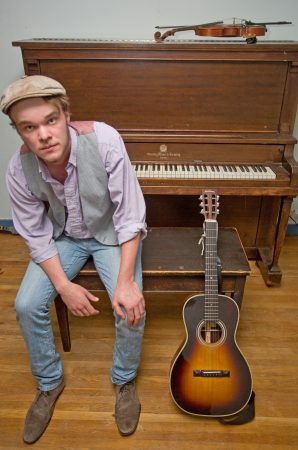 John Muirhead is a folk-rock storyteller from London, Ontario. Armed with an acoustic guitar, and occasionally bands in various forms, John performs his lyric-driven songs with everything he has, drawing inspiration from Canadian songwriting greats Leonard Cohen, Joel Plaskett, and The Weakerthans. 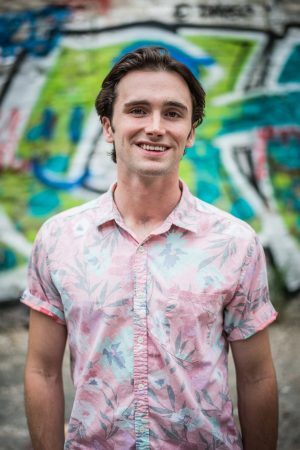 In 2016 John released his debut EP Yesterday’s Smile and showcased at the Folk Music Ontario conference as a part of the Youth Program, where he was awarded the Taylor Mitchell Bursary. In 2017, John will tour Ontario, with performances at Toronto’s NXNE Festival, Live From the Rock Festival, and Summerfolk Festival. 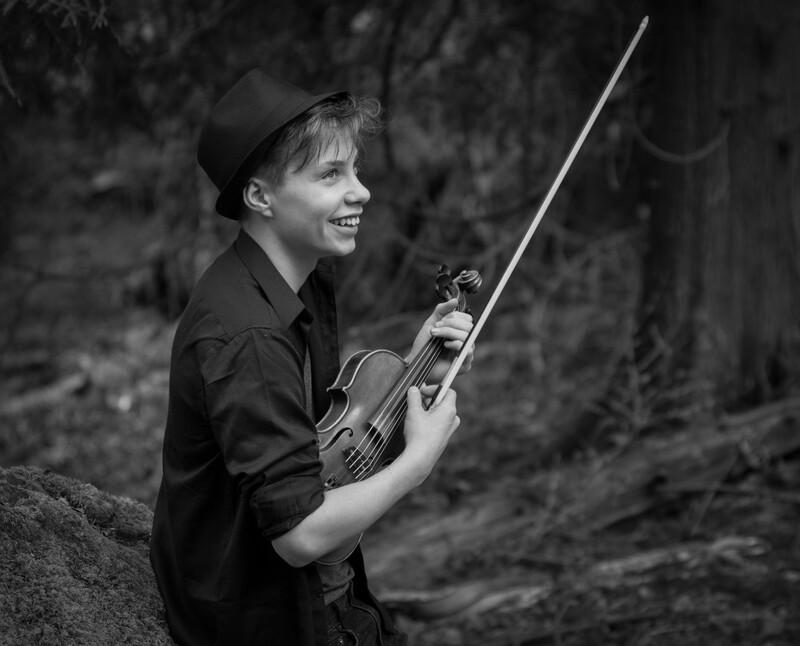 Quin Etheridge-Pedden is 15 years old and plans to pursue a career in music. He began his musical journey at age 6 when he began fiddle lessons. He has recently released his first solo CD, Embark. Embark was released on May 1st 2017. It is an eclectic mix of traditional fiddle and new contemporary. Most days you can find Quin in his music room with his fiddle, guitar, mandolin and loop pedal working on existing tunes or creating new ones.